2. Boat Beacon on your iPhone/iPad does not have to be in Sailing mode (Sailing button bottom left selected) to get SOG, COG , Heading and CPA/AIS information on Boat Beacon’s watch app display. The same applies to our SeaNav Watch app apart from the Waypoint screen, SeaNav does need to be sailing to a waypoint or on a route for the Waypoints display to show up. 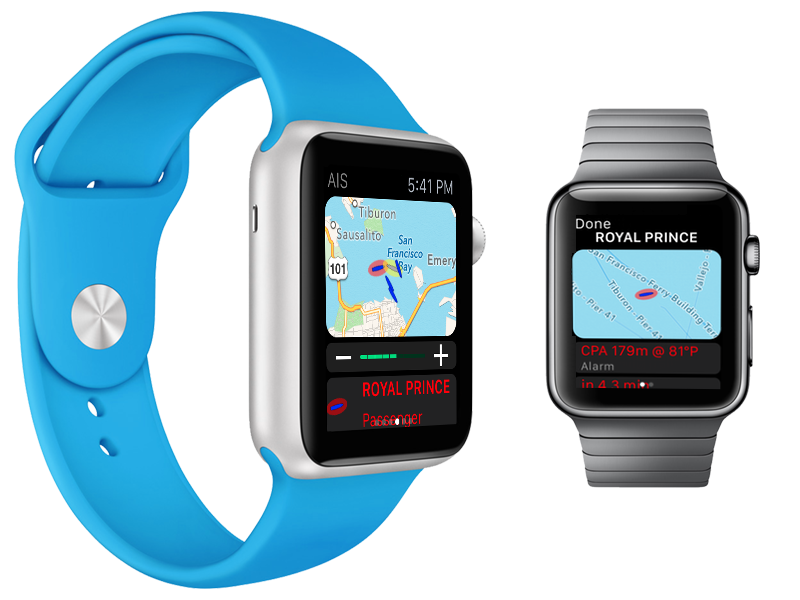 BTW, you can start Boat Beacon in sailing mode remotely from your watch. In the Boat Beacon app on your Watch press the red MOB button at the bottom of the Nav screen – this will launch Boat Beacon into sailing mode on your iPhone/iPad. You can leave the MOB showing your starting point or you can clear it by tapping the red MOB button on your watch again, Boat Beacon will remain running in sailing mode on your iPhone/iPad until you manually stop it on the device. 3. The watch screen is polarised to reduce glare and visibility is good on a bright day. Apple have got the polarisation right – just like on aircraft instrument displays – it works fine with Polarised sunglasses. We tested with a pair of my son’s Ray-Ban Aviators and we could see the watch face fine. 4. The range between watch and iPhone is good. We tested it up to 10m away with the MOB function (Red button at the bottom of the Nav screen on Boat Beacon Watch app) and it worked perfectly. Will need a bigger boat to test further 🙂 . By the way, you don’t have to have a real MOB situation to use the MOB function, it is really useful for marking a position, e.g. where you dropped your anchor or a point to return to etc. 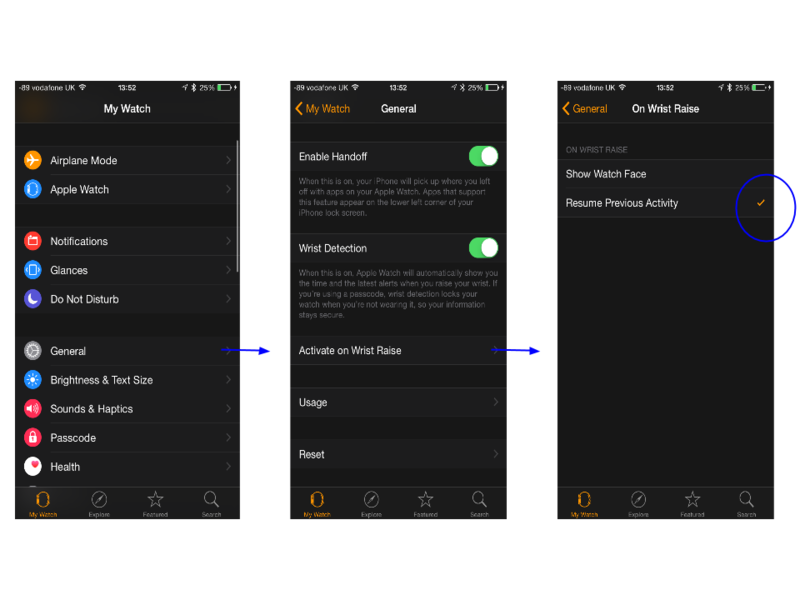 And you don’t have to have Boat Beacon already running on your iPhone to use the MOB function – hitting the MOB button on your Watch will set Boat Beacon running in sailing mode on your iPhone tracking the MOB position – and sound an alarm on your phone too! I think we will add a drop anchor button and start sailing button for the next watch version.